Pinterest is often looked at as a wedding or interior design inspiration platform. Or a tool that’s mostly used by young females looking to explore new styles. It’s not a good sales driver. Social platforms like this are just for fun. 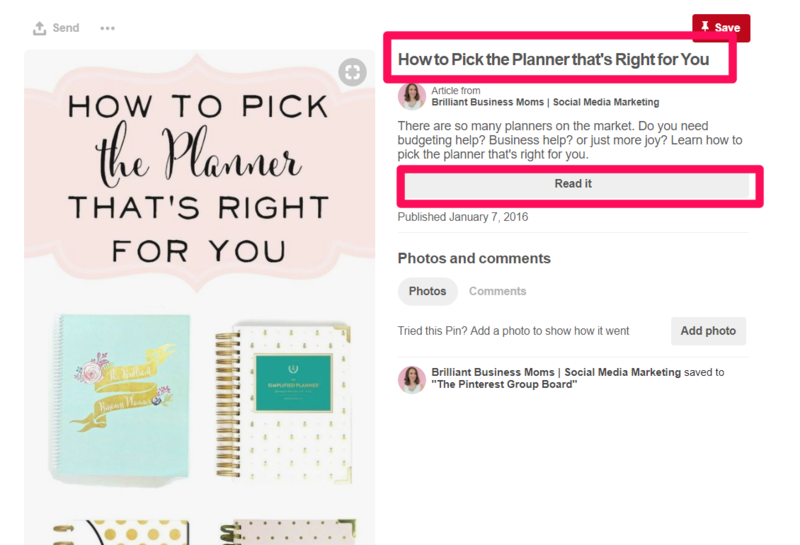 You’ve probably heard those phrases, or some rendition when looking to explore Pinterest as a viable tactic for business growth. Peeling back the layers of Pinterest opens the gates to a platform that’s built for selling and multi-channel success. You can create groups, boards and sell directly on the site with an on-site checkout. And currently, businesses are finding massive success. 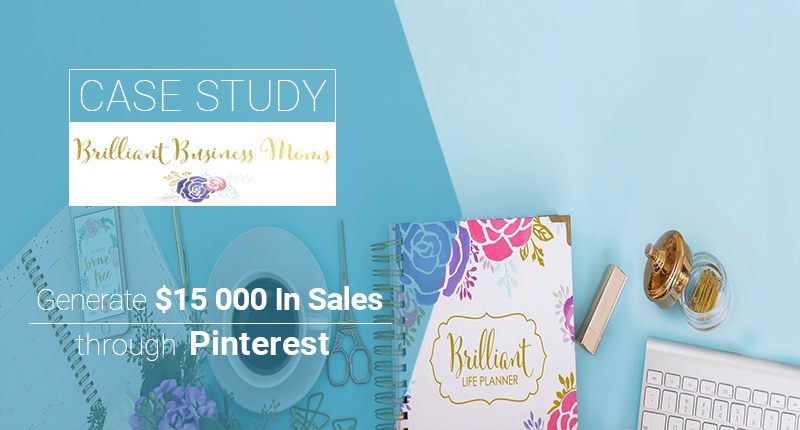 Here’s how Brilliant Business Moms used Pinterest to generate thousands in sales and how you can do it too. 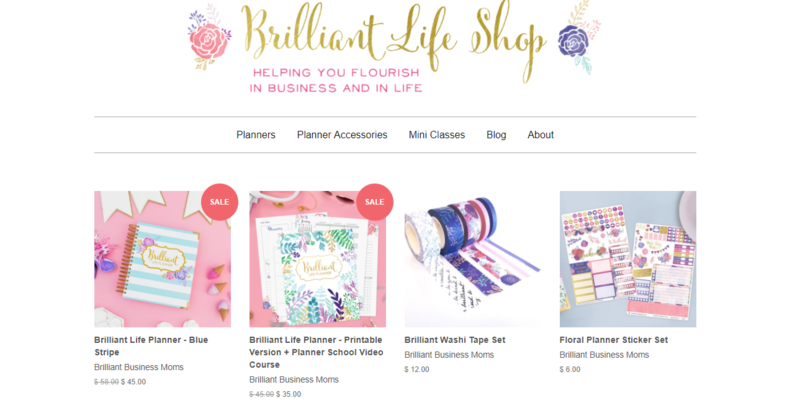 Brilliant Business Moms was founded in San Diego, California in 2014 by Beth Anne Schwamberger with the idea on selling products that would aid in the business development of moms. Beth knows that growing a business is hard. In fact, she’s spot on, with most businesses closing their doors in the first five years. Not only is growing a business incredibly tough, but balancing a startup or an exploding venture while managing a family and kids only adds to the difficulty. To meet this massive pain point, Beth started Brilliant Business Moms. Now, her company creates products that are geared towards the business mom, who’s day is hectic, stressful and always rewarding. With a husband deployed in the Marine Corps, she followed her career as a pediatric RN. But she soon realized that she wanted to do something on her own. To be her own boss and make her stamp on the business world. Out of that desire and passion, her business was born. Selling products like planners, guides, calendars and courses to mom entrepreneurs, she’s finding quick and scaleable success. But sales were never handed to her on a silver platter. She has grinded every day since opening her doors in 2014 to bring in sales. And recently, Pinterest was a massive success that helped her drive $15,000 in sales fast. While scanning her site traffic in Analytics, she noticed that Pinterest was bringing in tons of referral visits with new users landing on her site daily. Her products, specifically her Brilliant Life Planner, were being spread like wildfire. 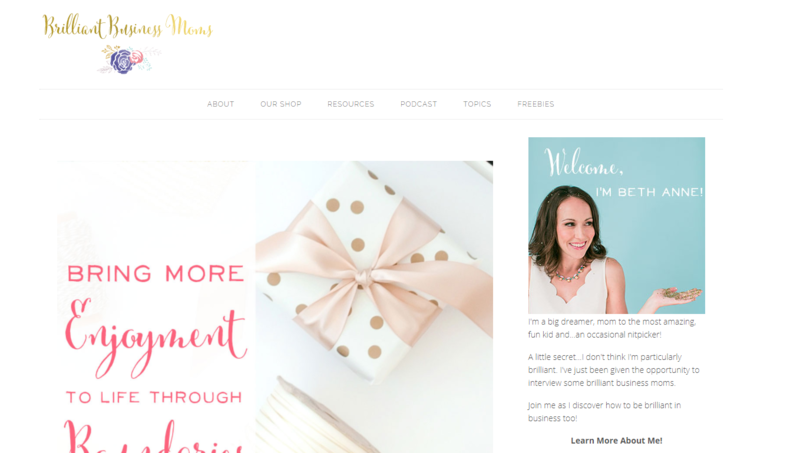 To take advantage of this growth, she branched out into multi-channel selling with Pinterest. 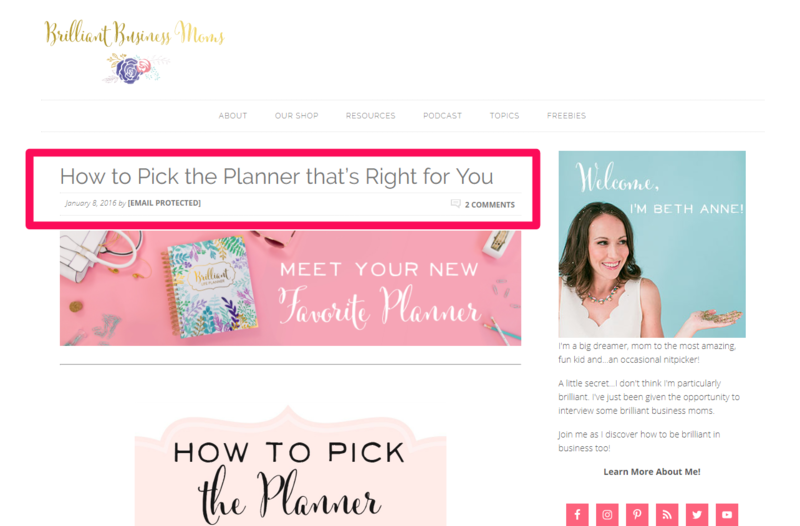 Using buyable pins and leveraging groups on Pinterest, she has been able to build an email list that she can tap into for sales. The key to her success was utilizing a group engagement feature called group boards. With boards on Pinterest, you can store pins into personal collections. 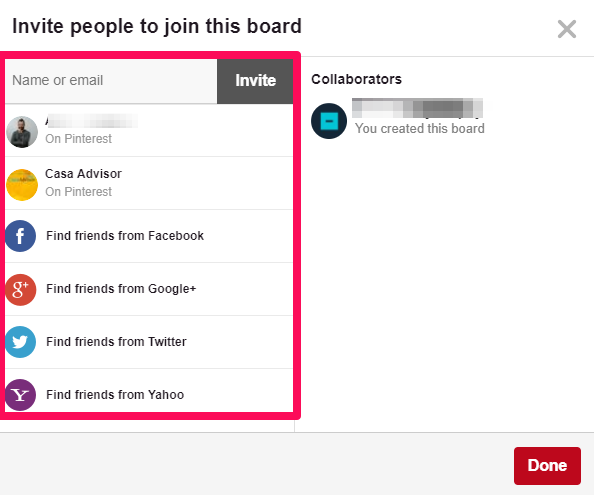 Group boards work in the same fashion but also allow other users to contribute to your board. Meaning a group board owner can quickly invite people to participate in the process. Creating an organic community surrounding her brand, she leveraged thousands of users into an email list that drove $15,000 in sales for her business. Here are a few of the strategies she used that will help you drive thousands in sales from Pinterest. Taking advantage of a new platform for sales can be intimidating. 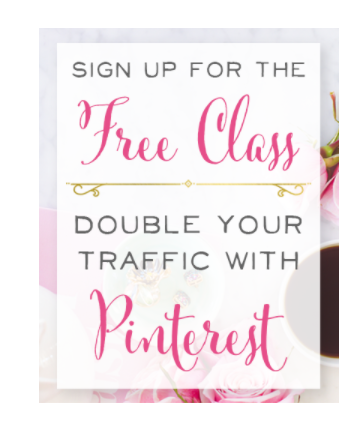 Using Brilliant Business Moms’ blueprint, we’ve outlined the easiest way for you to get started with Pinterest today. Is Pinterest Right For Your Target Market? First off, it’s crucial to understand if Pinterest is going to be the right fit for your target market. Nobody likes wasting time and hard earned money for no return. Before diving head first into Pinterest and dedicating your time or budget, you can run a few simple measures to minimize risk. First off, start by outlining the typical demographic models for your current and ideal customers. Think of your typical buyer persona (it’s okay to have multiple) and list out the key demographic and behavioral markers. Pinterest has a smaller user base than social platforms like Facebook or Instagram due to the niche nature of it. But that doesn’t mean your target market (or potentially new target markets) won’t be on there. 50% of Pinterest users are outside of the United States. Shipping international can help you reach a larger audience. 70% of the user base is women, and 30% are men. Currently, women dominate the platform in terms of engagement. 50%+ of new signups are from men. While women may outnumber men, a serious increase in male users is underway, providing tons of potential for wider target markets. 1 out of every 2 millenials use Pinterest monthly. 60% of Pinterest users have children under five years of age. Businesses that cater to parents can find success on this platform. 66% of women ages 25-54 have used the platform. 40% of users have a household income over $100,000. The demographic data is in. Women are more commonly using the platform, but men are signing up at a higher rate than women. Generally, users on the site have a high household income and a tendency to purchase after seeing pins they resonate with. After comparing your target market data with Pinterest, another way to assess whether it’s right (or wrong) for your business is to run a basic acquisition report in Google Analytics. Make sure that your Primary Dimension is Source / Medium. In the table below, you can see the most common sources of traffic for your website. If you see Pinterest related traffic, you likely are already getting publicity on Pinterest organically. That’s a huge indication that this platform is going to be a big success for your business. If you don’t see anything and your target market doesn’t line up perfectly, don’t worry. You should always have a testing mindset. For starters, you can quickly research products in your space directly on Pinterest by using the search function. Start by exploring searches related to your niche and industry. You can even type competitor names into the bar to see if they are finding success. Just because demographic data might differ from your current customer base and the users of Pinterest doesn’t mean that you can’t sell to Pinterest users. Research can help you identify different ways of utilizing Pinterest and if your niche can find success on the platform. Buyable pins are a incredible way to drive sales on Pinterest. They look just like standard pinnable items on Pinterest, but offer product descriptions, pricing and a checkout link that can be customized to checkout on Pinterest or back on your ecommerce store. The best part of all? They are free and easy to set up for any business looking to sell on Pinterest. If you use Shopify, you can easily integrate buyable pins without any setup work. Using their direct integration, you can import product data with the click of a button. If you don’t have Shopify, you can follow Pinterest’s guide to connecting your store for buyable pins. But creating buyable pins is just the first step. Just because you build it doesn’t mean they will come. Selling on Pinterest takes a bit of crafty footwork and mimicking the style and flow of a typical pin. For example, the first thing you notice about successful pins is their candid nature. They showcase products and ideas in real-world scenarios to spark interest and ideas. That’s the nature of Pinterest. Although their pin is sponsored, it blends in perfectly with the other content on your feed, giving it a natural, organic feeling rather than paid promotion. 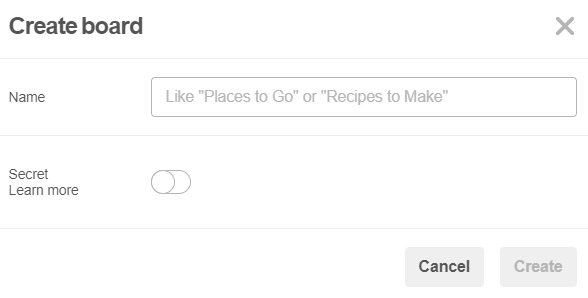 Secondly, it’s critical that you allow users to checkout on Pinterest when setting up buyable pins. If someone sparks an idea from your pin, but has to go through the hassle or extra steps of clicking to your site, they will lose conversion momentum. In fact, AdWeek found that the checkout process can make or break your sales. The more steps or complications you have, the higher your cart abandonment rate will be. Reducing any friction by enabling on-site buying can help you retain more sales. Now that you have buyable pins established, here is how to create a group board that can bring in traffic and sales. According to Pinterest research, 61% say they’ve discovered new brands and products from Pinterest. 72% say it helps them generate ideas for buying, and 50% have made a purchase after seeing a pin. All in all, Pinterest is a critical point in the research process for new buyers. Creating groups enable you to have dynamic, organic conversations with real consumers who are interested in your products, services and brand. It can become a fundamental step in the buying journey for a consumer, especially when you have direct input into their experience. The key to their success with group boards is specificity and mass promotion. Each board is specific to a topic, ensuring that they can grab interested users from any platform to see specific, curated content on that subject. If you have multiple ideas, split them out into different boards so that content is always on topic for what users want to see. Once you have created your board, you can instantly start to populate it with pins. I recommend populating it with at least ten high-quality posts before starting to invite anyone. People won’t join and participate if the group looks inactive. After building up the credibility by posting in your group board, start to invite users and share the board. Sharing your board will help to increase the amount of users landing on it and potentially engaging with you. Avoid hashtags: according to Pinterest themselves, using hashtags doesn’t help you reach users and only makes your content look spammy. Avoid them. Create rich descriptions: instead of hashtags, create dynamic, rich descriptions of each post. Keyword research: always do keyword research on a topic before creating a board to ensure that people are actively searching for and engaging with that topic. 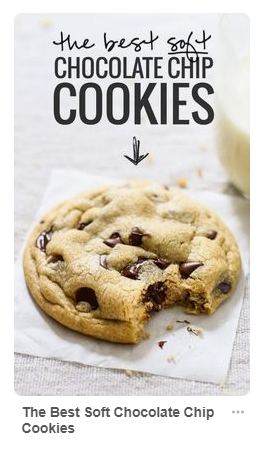 You can do this directly on Pinterest. Congrats, you’ve made is this far! The last and final piece of the puzzle is leveraging new engagement on Pinterest into actual sales and revenue in your bank account. The whole point of using Pinterest for your business is to spread awareness, produce interactions and generate a return. 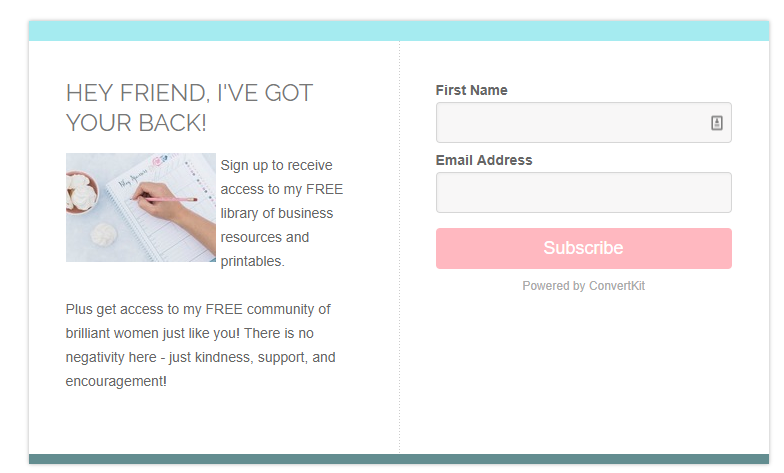 Brilliant Business Moms uses this current strategy to pull in huge sales numbers. This requires that people come to her site in order to consume content, giving her valuable chances to convert that traffic into emails that can grow her business. Each of these calls to action help to provide the visitor with great content and to grow her email list for sales. When creating new content for your group boards, ensure that you sprinkle in a few teaser posts that bring your group users back to your website where you can offer them content or coupons to grow your subscriber list. Once you do that, leveraging the list for sales with coupons and discounts will become second nature, and you will be driving sales in no time. When it comes to social media and sales, the two often aren’t linked together. Most people will advise against using social media for direct selling. Especially platforms like Pinterest. But the truth is, Pinterest packs powerful multi-channel selling options like on-site checkout and buyable pins for a natural buyer’s journey. 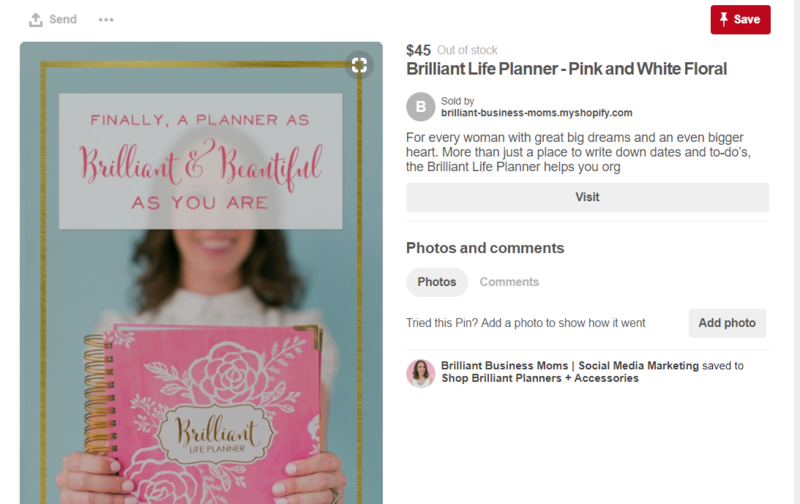 Capitalizing on this, Brilliant Business Moms used Pinterest to drive thousands in sales with groups and buyable pins. To get started, analyze your target market. Does your typical buyer persona match demographic users on Pinterest? 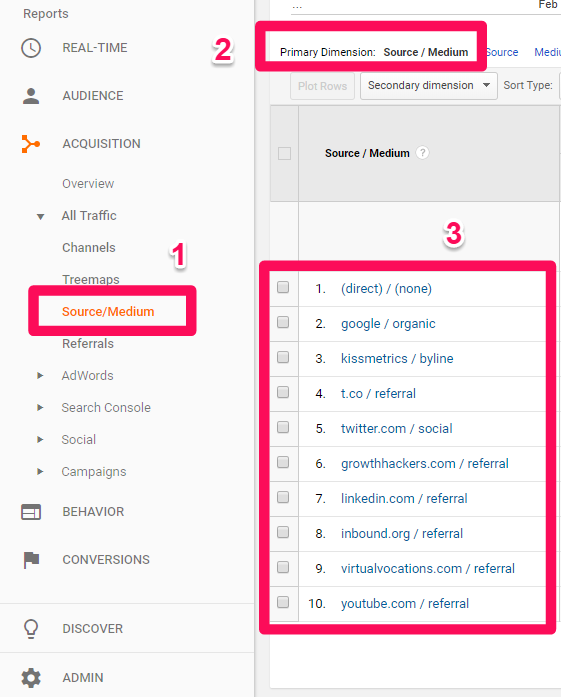 Try running basic acquisition reports in Analytics to see if you already get traffic from Pinterest ideas. If not, try approaching it with a testing mentality. Build your account and see if your content gets engagement. Next, setup buyable pins to take advantage of anyone looking to buy from you. Using groups, you can start to build engagement and a following that will buy. 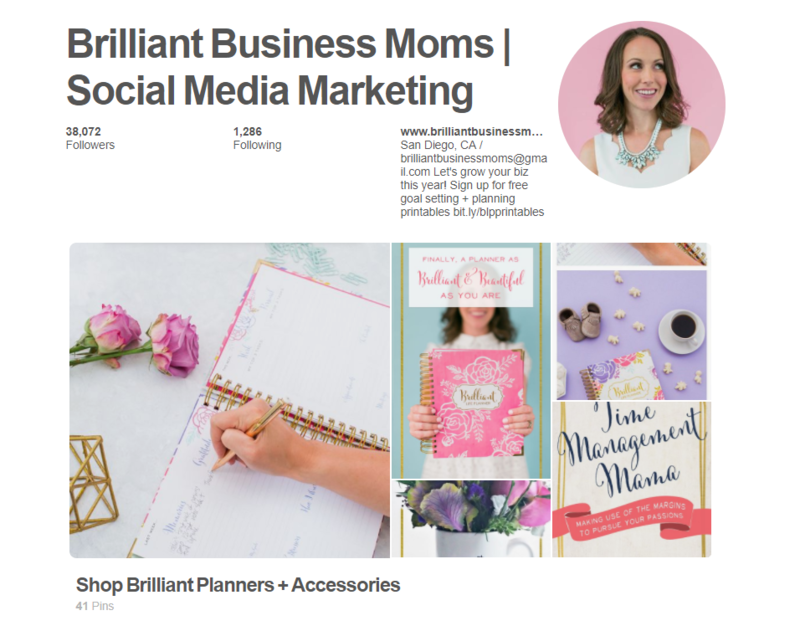 Lastly, follow Brilliant Business Moms by leveraging your Pinterest followers and group for an email list that you can use for selling products. Building sales on Pinterest isn’t a pipedream. Now you have the keys to success on Pinterest. It’s your turn to put them to use. What are your plans to grow your sales on Pinterest? What other marketing methods will you combine Pinterest with to drive sales?